Zebras, horses and wild asses are all equids, long-lived animals that move quickly for their large size and have teeth built for grinding and cropping grass. Zebras have horse like bodies, but their manes are made of short, erect hair, their tails are tufted at the tip and their coats are striped. The Burchell's zebra is built like a stocky pony. Its coat pattern can vary greatly in number and width of stripes. 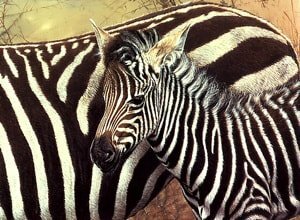 The stripes are a form of disruptive coloration which breaks up the outline of the body. At dawn or in the evening, when their predators are most active, zebras look indistinct and may confuse predators by distorting distance. Their shiny coats dissipate over 70% of incoming heat. 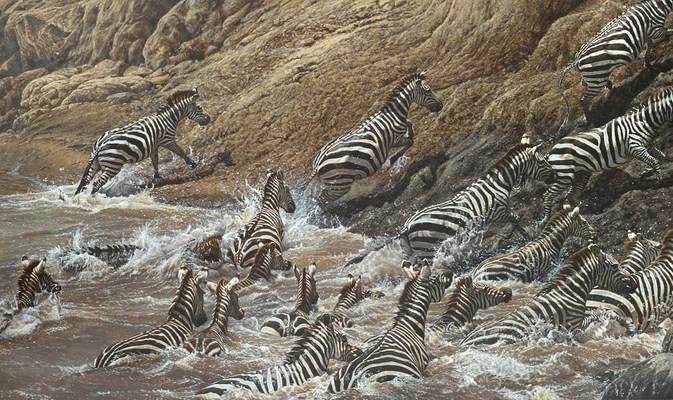 The Burchell's zebra’s social system is based on a harem of females led by a stallion. Stallions establish their harems by abducting fillies who have come into their first estrus. These fillies advertise their condition with a peculiar stance: straddled legs with raised tail and lowered head. All the stallions in the area will fight for a filly in this condition, as she will permanently stay with whichever stallion succeeds in mating with her. The newest female in a harem assumes lowest social status, and is often received with hostility by the other females. Once a female has bonded to a stallion, she will no longer advertise herself when in estrus. 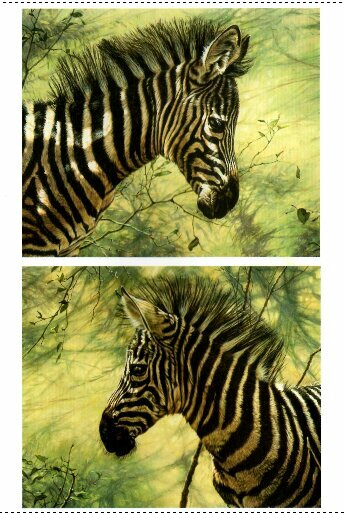 When a foal is born the mother keeps all other zebras (even the members of her family) away from it for 2 or 3 days, until it learns to recognize her by sight, voice and smell. While all foals have a close association with their mothers, the male foals are also close to their fathers. They leave their group on their own accord between the ages of 1 and 4 years to join an all-male bachelor group until they are strong enough to head a family. 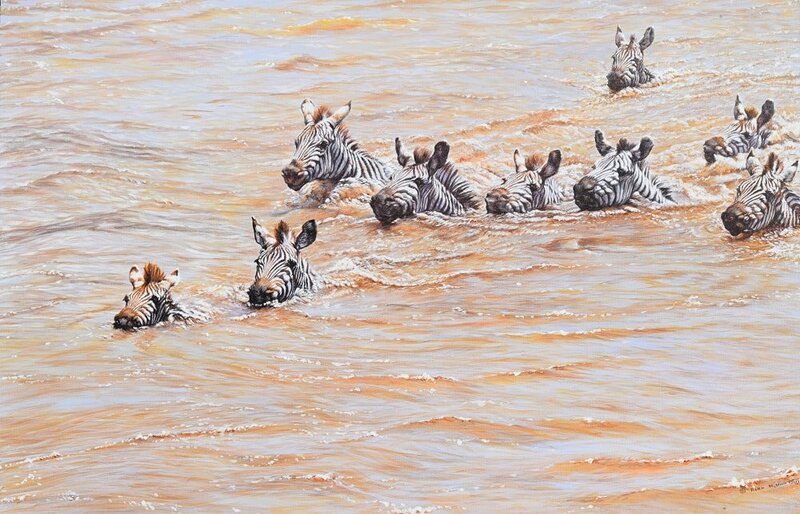 Like many species of East Africa’s grazing animals, the Burchell's zebra is most in danger of habitat loss and competition for water with livestock.